VirtualPilot3D Will Give You CRAZY Conversions, Upsells, Downsells And Best Thing You Keep 70% Of Everything…"
Replace ‘ USERID‘ with your Click2Sell user ID. This is a major opportunity for you to get in on the ground floor of the biggest and best new flight sim in a massive market overflowing with prospects! The gaming niche is MASSIVE and VirtualPilot3D has the HIGHEST conversions amongst all other similar offers. We convert better than the other flight simulator games. Try both of us and compare! We have the best conversion in this market period. We know because we measure conversion rates of other competing products too. Whats more, we're split-testing fanatics. The salespage will only get better as we test and tweak all elements of the copy and design. That means you'll earn more moolah as time goes by! VirtualPilot3D has the highest conversion in the niche with a KILLER salespage with the HIGHEST EPC. This is the next-generation flight simulator. It is BIGGER and BADDER than all other flight sims out there with NEW features, advanced add-ons and an on-going development cycle. Unlike others, we constantly update our code and provide new updates. Higher price product & mutiple sales option gives you MORE commissions. We have multiple upsells, downsells, one-time offers and more. Lowest refund rates in the niche - that means you keep more moolah! A Professional affiliate team dedicated to help you succeed! Try us out now and see why we *CRUSH* the competition! The signup process takes about a minute and is free. To start making sales, simply send people to purchase "VirtualPilot3D" through your affiliate link and Click2Sell will take care of the rest. You'll get a whopping 70% commission per sale! Once the link is clicked or typed into a browser, the tracking is automatically done by Click2Sell and you get paid! Click2Sell sends you checks every week for the sales you make through your affiliate link. All you need to do is send traffic to the website using your Click2Sell affiliate ID. Leave everything else to us. We take care of all customer support and communication, and making sure the orders are fulfilled. We use Click2Sell as an affiliate-merchant processor, so you will receive your commission directly to your PayPal or direct deposit to your bank (we accept international affiliates too). You will get a unique affiliate ID and a link to place on your website, newsletter, etc. 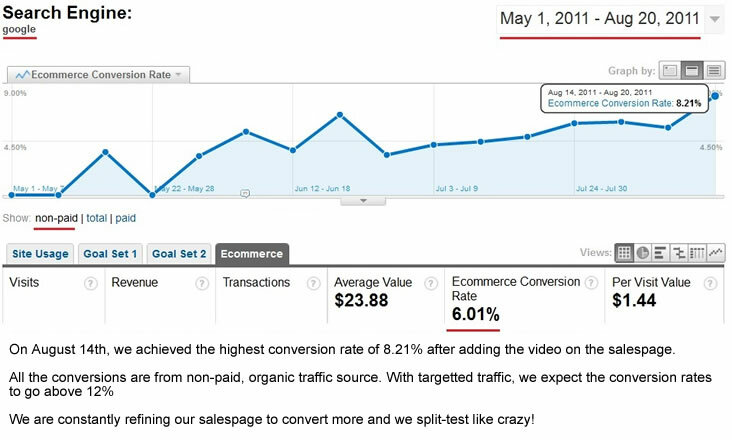 You can track all sales, clickthroughs, etc in your Click2Sell control panel. Click2Sell cookies last for 6 months -- that means within 6 months after you referred a visitor – you still will get a commission! We want to make it as easy as possible for you to make great money promoting VirtualPilot3D so we have created everything from autoresponder emails , banners , alternate landing pages, keywords , ads, target market demographic studies, and many more resources! Replace 'USERID' with your Click2Sell ID. If you don't have one, please go to this link to sign up. 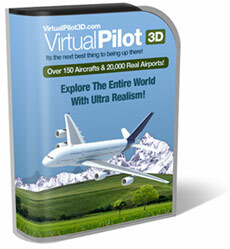 You can start using these banners & graphics on your blog, website to promote VirtualPilot3D. All you need to do is to copy the code and paste it in your HTML editor. Remember to replace "USERID" with your actual user ID. You can choose to send your traffic to any of our inner pages! This is great if you're preselling on your site and you want to point visitors to specific pages. You can choose to send your traffic directly to the checkout page! This is great if you're preselling on your site and you want to point visitors to the order page. Note: Your affiliate cookie will still be tracked properly. Google Adwords is an awesome way to promote this guide as you have millions of gamers looking for help RIGHT NOW... The beauty of it is that you can be on the web with your ad in under 10 mins! HOT! : One of our top affiliates makes more than $3100 every DAY using just PPC as his main source of traffic. Facebook traffic is *HUGE*. It currently has over 800 MILLION active users, which is an absolute untapped goldmine for an Affiliate. It is so lucrative that some of our affiliates have been driving over 100 sales PER DAY simply using Facebook Ads! 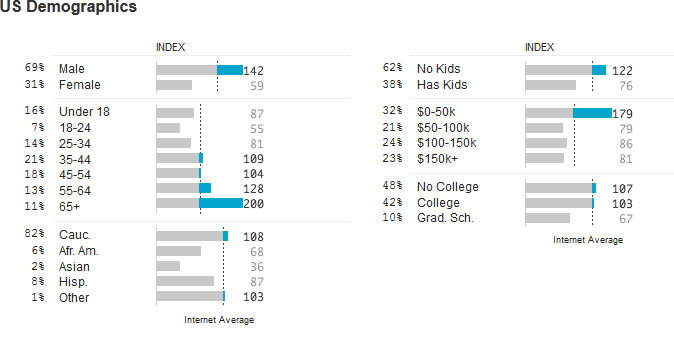 I've included a snapshot of our US demographics which you can target. Most of the customers are from US, UK, Canada and Australia. If you have an email list and would like to promote VirtualPilot3D to your list, below you will find several emails that you can copy and paste, or modify to suit your needs. Subject line: [firstname], the closest thing to flying a REAL plane! Body: [firstname], VirtualPilot3D is going to be a GAME-CHANGER... ==> http://USERID.virtualpilotvir.click2sell.eu If you ever dreamt of being a pilot or would like to explore the world with ultra realism in 200+ different aircraft, VirtualPilot3D will fulfill that dream. ==> http://USERID.virtualpilotvir.click2sell.eu As a flight sim fan, I always value realism and VirtualPilot3D simply blew me away with some of their features: - Accurate ATC system and navigation - Complete instrument flying and approaches - Advanced navigation including NDB, VOR, ILS and GPS - Fly a real airline route on autopilot I've played the game for 2 days now and it is the most complete flight sim game I've ever tried. If you're think Microsoft FSX or X-Plane is great, you ain't SEEN NOTHING yet! But don't take my word for it, check it out yourself at: ==> http://USERID.virtualpilotvir.click2sell.eu [name] P.S The videos are amazing to watch. Make sure you go to the video section and check out the live demos of the game in action! Subject line: [firstname], ...an urgent message (open this now!) Body: Hi [firstname] Yesterday, I told you about VirtualPilot3D - "The World's Most Realistic Flight Sim" ==> http://USERID.virtualpilotvir.click2sell.eu Well, I just found out that they are removing the offer price soon. In fact, they told me that the VIP price will be restored to $289 tommorrow. So if you're interested in anyway, I URGE you to grab your copy now before the offer ends: ==> http://USERID.virtualpilotvir.click2sell.eu The current price is a TOTAL bargain considering the entire program he is offering. Go grab your offer now before this ends: ==> http://USERID.virtualpilotvir.click2sell.eu [name] P.S: Oh yeah. It comes with a 60-day money back guarantee so you won't be out a single dime if you don't like it. Yes that's right... if you make 400 or more sales in 1 month you will receive an EXTRA $5/sale...But not only that, we count sales from both the BASE AND VIP premium. That means you can combine your sales per month for all products. • Only sales from the vendor ID "virtualpilot" will count. To claim your bonus please contact us here. Provide your Click2Sell ID, your paypal email and the number of sales you have made for each of the products that count towards your total sales. Drive traffic to a page with a positive genuine review about the VirtualPilot3D (then send that traffic to our sales page with your affiliate link) . This is an extremely effective way to get great conversion rates! 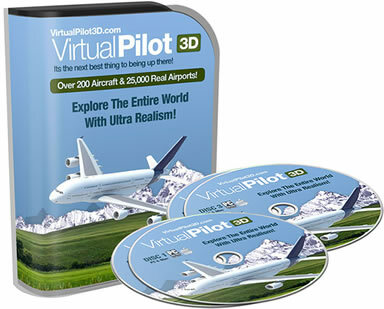 Affiliate Tip: VirtualPilot3D usually converts better when you are properly pre-selling it. A landing page is preferred over direct-linking. A soft presell has proven to work best with VirtualPilot3D, meaning, you don't have to be over-aggressive in your promotion, you just need prepare the customer for what he's about to see and speak positively about it. Find gaming, entertainment, flight simulator forums and post helpful comments, help, and informative posts. After you've built up your reputation and posted helpful information…add your VirtualPilot3D affiliate link in your signature box or have a post that links to VirtualPilot3D.com (with your affiliate link). The more you post and the more credibility you build at the forums the better you'll pre-sell VirtualPilot3D.com and the more traffic you'll send…which equals more sales! Find related websites (or media mediums) in the gaming niche and buy space on their website to display one of our banners or an advertisement you make for VirtualPilot3D.com (be sure to use your affiliate link when someone clicks the banner). Thank you for considering to join our affiliate program! We love our affiliates and do everything possible to help you as an affiliate! If you have any questions, comments, or suggestions for us…you can contact us at our helpdesk. Remember: VirtualPilot3D pays out 70% on all our sales options and you get a whooping $88.90 per sale!